If you're planning on painting a room in your home, you may be faced with wondering what type and color or paint to work with. LovetoKnow Interior Design spoke with experts Joe Kowalski, Training Manager and Paint Expert for Glidden Paint, and Krim Danzinger, Senior Color Consultant for Glidden Paint to get some tips on finding the right type of paint and the right type of color for every room in your home. LovetoKnow (LTK): If you're repainting a room that is currently a dark or bold color, and you want to go light, what's the process? Can you paint right on the dark color, or do you need a primer first? Krim Danzinger (KD): We recommend that you use a primer so you can quickly achieve the coverage and look that you wish. Using the primer is a good guarantee that you will prep the walls properly so you will be able to apply the finished coat. LTK: Do you have any tips on finding the perfect color for the home? KD: First, we think that you need to have an idea in mind of what you would like. Never think about what color you want to use as you begin, but think more about how you want the room to feel. Another way to begin a project would be to look through many magazines and collect images of those rooms that speak to you. Once you have assembled the pictures, look at them and think about what they have in common. You will see a pattern that will reveal the personality that you wish to incorporate into your home. If you want to decorate around an element, such as fabric or artwork, search for an element that is meaningful to you and then use that color scheme to select your colors. Once you have selected a color from that item, match this color into a color system and choose about three or four colors that you think might work. It is important to look at them in the room in which they will be used. It is also important to see them at all times of the day so that you know how they will appear in the morning, evening and in the different types of lighting you have in your home. 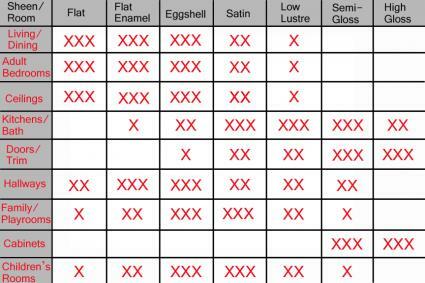 LTK: Is it possible to get all paint colors in the various finishes? Or do some finishes work better with certain color groups? KD: Yes, you are able to purchase a variety of finishes in every color. As you are considering finishes, keep in mind that different finishes work well in different places. The flatter the finish, the less durable it will be. Flat finishes can go on ceilings. Eggshell finishes can be used on basic walls where there is not too much demand of them. Semi-gloss may be used where you require increased washability. Glossy finishes may be used for very high traffic areas or on areas where you want to create a dramatic look. Keep in mind that as the finish becomes a higher gloss, your color will become a bit deeper in appearance. Light reflects and bounces off high-gloss surfaces more than on flat surfaces where it is absorbed. LTK: If someone has never painted before, what advice would you have for them? KD: Make it be a fun experience! Play music, enjoy the creative spirit of this new adventure and the fact that you have the ability to make a huge difference in a space with just some paint. Be certain to use all the wonderful tools that are available. First, cover the floor with a drop cloth (this is the best advice because then you can paint your heart away) and keep the floor cloth for all your future projects. It will be sort of a keepsake of your decorating adventures. Taping off trim to keep things nice and tidy when cutting in your paint color, as well as using the proper rollers and brushes, will make your painted surface look as perfect as possible. Water and clean cotton cloths are essential for any spills. Wear comfortable clothes that you will wear over and over again as you paint. One of the best ways to paint is to have a party where you can have your friends paint with you. This job is fun and everyone plays a role. When you are done, celebrate and enjoy the look of your new room! LTK: Do Glidden paints work on any existing wall finish, or do some require some extra prep work first? Like varnished wallboard, for example? Joe Kowalski (JK): Glidden will work on any wall. A wall previously painted with a flat or satin finish will require minimal prep work. Wiping the dust from the wall and removing any dirt or smears is all that is necessary. We always recommend two coats, and a primer is only necessary if there is a major color change. Walls or trim with higher sheen, as well as varnish, require more work. Because paints such as semi-gloss, high gloss, oil paints and varnishes leave a very hard finish, we must rough up this surface in order to give a "tooth" to the surface so the fresh paint can adhere. This can be done with a variety of tools: hand sander, liquid deglosser, TSP or a strong "adhering" primer. A primer such as the Glidden Gripper would work. LTK: What about painting over a high gloss paint with a flatter finish? JK: Same as above. After the surface has been roughed, I recommend a primer and one coat. Or if the Glidden Gripper was used for the above surface prep, two coats of the top coat. LTK: How many coats of paint are recommended for a typical room? JK: Two coats are always recommended. Sometimes it will be one coat of primer and one coat of paint. Two coats will give the truest color, best sheen and most durability. LTK: Do you have any paints that are lower in VOCs for individuals that are bothered by paint fumes? JK: All Glidden interior paints are considered Low VOC paints, which follow EPA guidelines. We do have products that are no VOC, which are Glidden Premium (The Home Depot), Glidden Brilliance (Walmart) and Glidden Professional Lifemaster (Glidden professional stores). 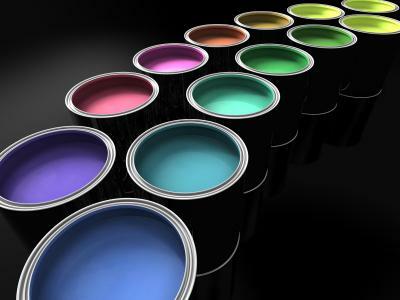 LTK: What type of paint would you recommend for someone that wants to faux-paint an area of their home? JK: AkzoNobel offers specialty paints from both Ralph Lauren and Martha Stewart. Both names also offer faux glazes with different techniques. The specialty finishes from Ralph Lauren of River Rock and Suede should not be used in busy areas because they leave flat finishes that are not very durable. However, they are beautiful for non-busy areas of the home. All the Martha Stewart finishes and the other Ralph Lauren, as well as any finish using one of the glazes, can go in any room in the home. All of these finishes leave a satin or semi-gloss sheen and wear like iron. The faux finishes are not only different and beautiful, they are also durable. Many thanks to Glidden's paint experts for providing these tips. Start adding some color to your walls to help transform the look and feel of any room in your home.